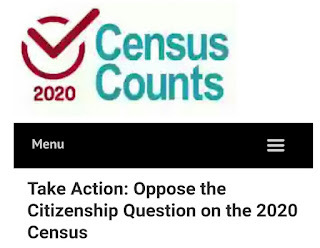 The 2020 census is just around the corner. What could happen if incompetents or malicious actors get their hands on running the census? Plenty! For example, a contractor could be hired to print and distribute the census but then file for bankruptcy and get a ruling that we taxpayers still owe them millions for not printing it. Yes, that has happened already. 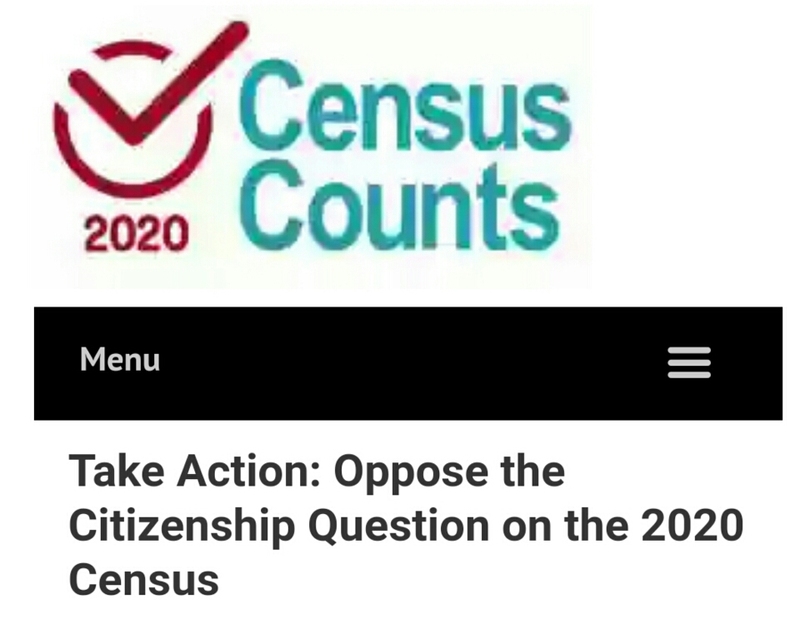 Anti-immigrant (to be polite) Trumpolytes like Steve Bannon and Kris Kobach could push very hard for a citizenship question on the "must complete under penalty of law" census. Yes, that is happening, too. This Mother Jones mag article tells us why Republicans are working to undercount minority voters in large states. This NYT article describes states' attempts to block it by suing the Trump administration. This site is collecting citizen comments for the Commerce Department. You have until August 7 to weigh in. We already know that numbers matter. Republican gerrymandering is but one arrow in their "total minority rule" quiver. Small states' outsized representation in the US Senate also affects who gets on the Supreme Court. Small state voters' votes count much more than votes of those who live in larger states. If the census can be rigged to undercount minorities in large states whose "vote power" is already diluted, it will get worse faster. A 2012 Slate article pointed out that, "one Wyoming voter has roughly the same vote power as four New York voters." The authors of One Nation After Trump note that by 2050, about 30% of voters will elect about 70% of US senators. "That means in North Dakota a voter—who is most likely to be white—has three times more say in who gets to become President. And it means that a California voter—who is most likely to be not white—has a vote that is worth only about 83 percent as the rest of the country." David Yaris, author of It's Time to Fight Dirty, details all the ways Republicans have used the constitution, written to ensure power for wealthy white men, to retain power for a minority of voters and how those same tactics can bring back majority rule.